ATLANTA – April 11, 2019 – Harrison Street, one of the largest real estate investment firms dedicated to the Education, Healthcare and Storage sectors, and HealthAmerica Realty Group (“HealthAmerica”), an Atlanta-based health care real estate firm with more than 25 years of experience, today announced that Piedmont Internal Medicine, a private practice specializing in the management and treatment of adult medicine, has signed a long-term lease for 16,000 square feet at Northwest Medical Center, a premier, multi-tenant medical office building located in Atlanta’s desirable Buckhead neighborhood. Piedmont Internal Medicine is one of the first internal medicine practice to take advantage of the newly-renovated Northwest Medical Center. HealthAmerica and Harrison Street formed a joint venture in 2015 to redevelop Northwest Medical Center, which transformed the aging property into a state-of-the-art healthcare provider facility and created an in-demand, upscale and safe environment for physician practices, outpatient clinics and their patients. Kelly Ladd, CEO of Piedmont Internal Medicine said, “We are thrilled to provide access to the best care for the vibrant community of Howell Mill Road and the Buckhead area. Northwest Medical Center provides a space that we can make our own and deliver care to the community in a comfortable, convenient, accessible, and warm setting. The first-floor location will make it easy for our patients to access the clinic through several entrance options, including a patient drop off and wheelchair ramp into the lobby and the covered pathways on the parking deck lead straight into the building for access on both the second and third floors. The practice will celebrate a grand opening in time for the unveiling of the anticipated $300 million luxury senior living development, Corso Atlanta in fall 2020, located on the former West Paces Hospital site, adjacent to Northwest Medical Center. Piedmont Internal Medicine was represented by George Olmstead, senior director, and Brandon Wallace, senior director, with Cushman & Wakefield. Tommy Tift III, CEO, James McClintock, senior vice president of leasing and sales, and Wheeler Briggs, vice president of leasing and sales, with HealthAmerica Realty Group represented Northwest Medical Center. 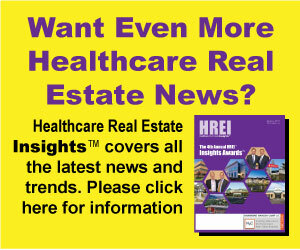 HealthAmerica Realty Group is a full-service healthcare real estate firm located in Atlanta, Georgia. Founded in 1994 by Tommy Tift III, the firm solely focuses on medical buildings and clinic facilities. HealthAmerica Realty Group develops, acquires, leases and manages a premier portfolio of healthcare real estate properties throughout Georgia, Florida and Tennessee. Clients include healthcare REITs, hospital and health systems, both large and small physician practices, and institutional and individual investors who own medical office buildings. Harrison Street is one of the leading real estate investment management firms exclusively focused on the Education, Healthcare and Storage sectors. The firm has created a series of differentiated investment products across multiple risk/return strategies. Headquartered in Chicago with an office in London, the firm employs a 150-person team and has approximately $20.0 billion in assets under management. For more information, please visit www.harrisonst.com. Piedmont Internal Medicine P.C. was founded in 2015 by 11 local physicians. Piedmont physicians average over 15-20 years of experience and are Board Certified in Internal Medicine. The practice blends a diverse group of doctors in order to attract patients of all backgrounds. Piedmont is dedicated to offering high-quality, patient-centered medicine. As an independent practice, Piedmont focuses on providing the best care for patients and physicians value time spent with patients to discuss concerns or questions. Piedmont Internal Medicine is associated with the Piedmont Healthcare System and is a member of the Piedmont Clinic. Northwest Medical Center was originally constructed in 1972 as the premier multi-tenant medical office building that provided medical space for practices and doctors who had a desire to be close to West Paces Hospital. In 1999, West Paces Hospital closed leaving a small pocket of medical office buildings in the area, which has housed many private practices over the years. In 2016, real estate capital firm Harrison Street and Atlanta-based HealthAmerica Realty Group injected new life into the aging medical office building. The building underwent an $18 million redevelopment with a goal to create an in-demand, upscale and safe environment for physician practices, outpatient clinics and their patients. The completed structure features an upgraded look with a new façade, courtyard, common area lobbies and hallways and other amenities. 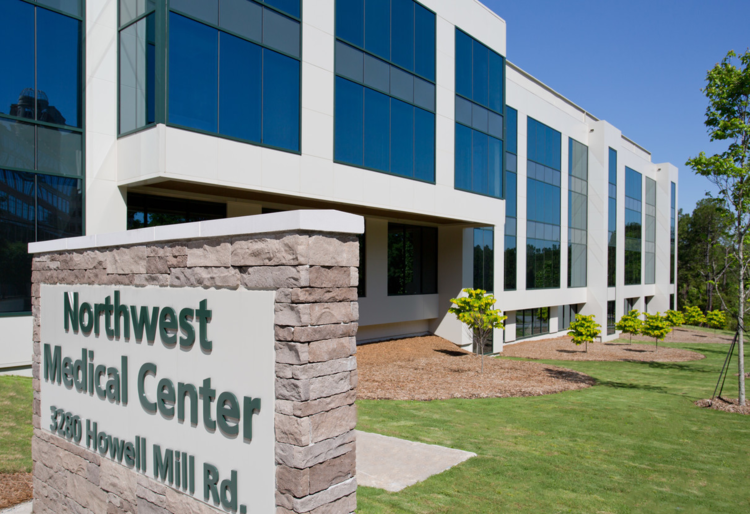 Northwest Medical Center boasts easy access to I-75, top-rated schools and Atlanta landmarks, such as OK Café and the Arthur Blank Foundation.